Start a tradition in your family or classroom in anticipation of His glorious resurrection! 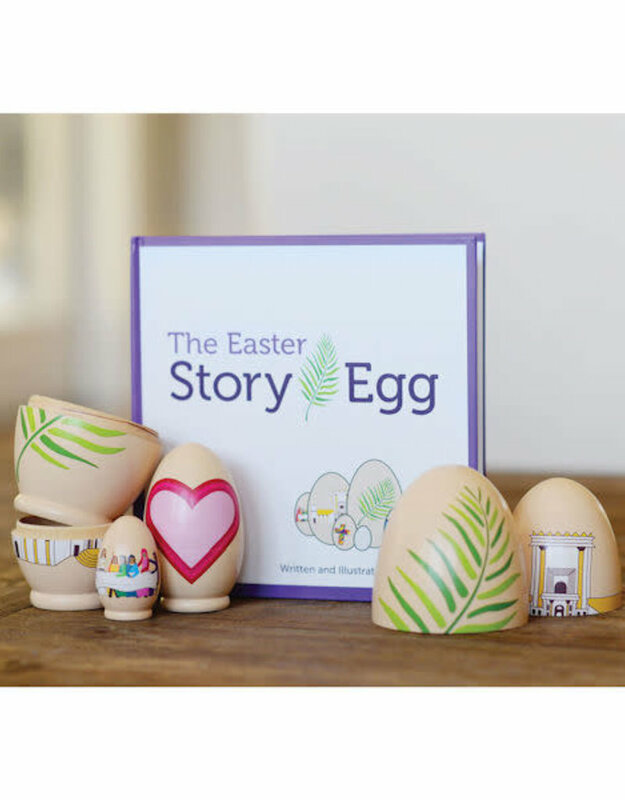 Celebrate the true meaning of Easter with The Easter Story Egg.™ This family activity includes a hardcover book and 7 wooden nesting eggs. 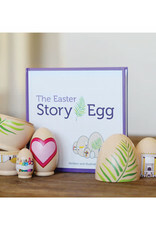 The Easter Story Egg™ book begins on Palm Sunday and ends on Easter Sunday. Each egg within the set of nesting eggs has a story that relates to a particular day in Holy Week, leading up to Easter Sunday. As the children open each egg they will discover the Easter story and the journey of Jesus through Holy week. These eggs are hand carved and made of natural wood. They are brand new so there is still some moisture in the wood. They may not be easy to open at first, so here are some helpful tips. When opening the eggs, don’t twist them, just pull them apart to open. Let them set out and open to dry for a few days prior to use so the wood can release any moisture. As the eggs are opened and closed after usage they will naturally loosen as well. 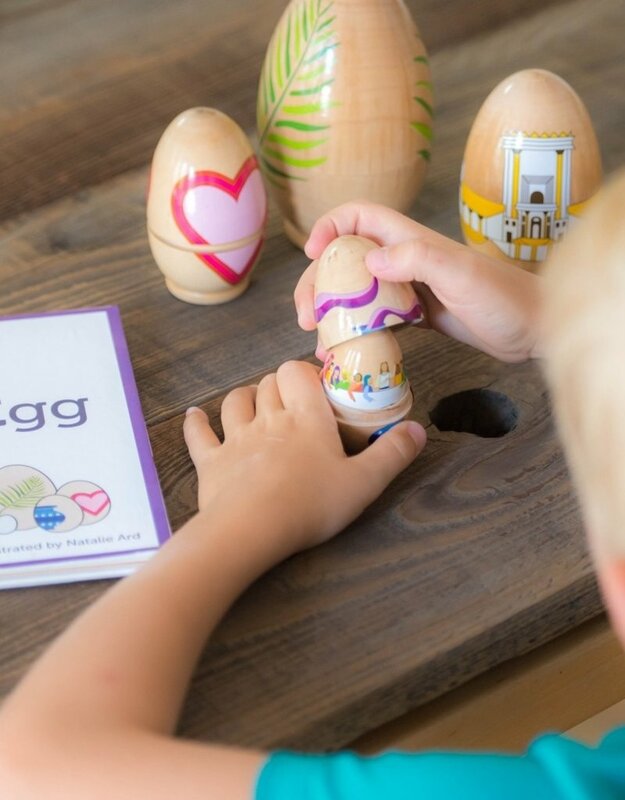 A unique Easter activity that families will look forward to for years to come. Spread the message of Easter! Assorted wooden nesting eggs (7 pieces). Small pieces. Choking hazard. Do not twist eggs apart. Pull eggs apart to open.